Project Detail: WFM managed all scribes/Partners Information. The user can easily Insert, Update, Delete, View a scribe/partner information. audio/video between doctor and patient communication. Scribe also note all information through this app. Project Detail: Customer portal is for Augmedix customers. 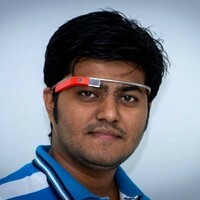 By using this app customer register/login, schedule their services and connect with Google Glass. Project Detail: By using this app user can create MA/Partner. Can check all type of Data/log.